The University of Adelaide will tomorrow present one of its greatest graduates, NASA astronaut Dr Andrew Thomas, with an honorary doctorate in recognition of his outstanding achievements. At the University's last graduation ceremony for the year (2.30pm, Thursday 21 December), Dr Thomas will be awarded the degree of Doctor of the University honoris causa. Dr Thomas will also be the guest speaker at the graduation ceremony. The honorary degree recognises Dr Thomas's distinguished contribution as a research scientist in fluid mechanics. "Andy's achievements in space and here on earth as an engineer, a scientist and an astronaut have had a profound impact on all Australians. 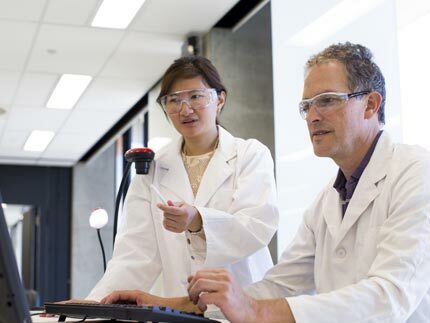 He has helped us to understand that there are no limits to what we can achieve," says the Vice-Chancellor and President of the University of Adelaide, Professor James McWha. "Throughout his career, Andy has been a great ambassador for the University of Adelaide, for the State and the nation, and we are extremely proud of him." Dr Thomas says receiving the doctorate from his alma mater is a "great honour". 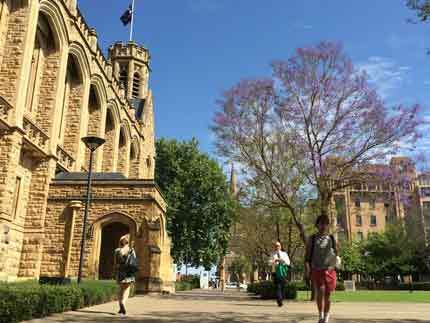 "When I left the University of Adelaide from a very similar graduation ceremony, over 30 years ago, I carried a dream, which by all the standards of the day was quite unrealisable. That I was able to turn that dream into a realistic ambition and which ultimately took me to space, I owe largely to the education that I received at this institution," Dr Thomas says. "To be able to return to the University after those tremendous journeys and have that personal dream acknowledged with this award is truly humbling." One of the students who was awarded the Andy Thomas Scholarship to study at the University of Adelaide, Ryan Arbon, is graduating with a Bachelor degree in Mechatronic Engineering at the same ceremony in which Dr Thomas will receive his honorary degree. Dr Thomas was born in Adelaide, South Australia in 1951. 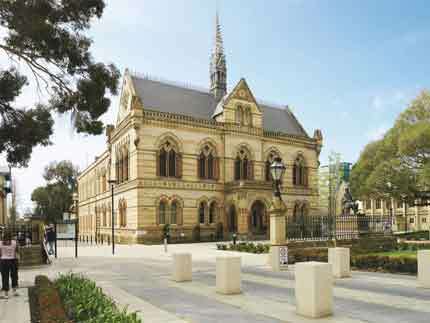 An alumnus of the University of Adelaide, he graduated with First Class Honours in Mechanical Engineering in 1973 and received a PhD in Mechanical Engineering in 1978. In 1977 he joined Lockheed Aeronautical Systems Company in Georgia, US, as a research scientist. In 1987 he became manager of Lockheed's Flight Sciences Division and directed the technical efforts in vehicle aerodynamics, flight controls and propulsion systems that supported the company's fleet of production aircraft. In 1989, Dr Thomas moved to Pasadena, California, to join the Jet Propulsion Laboratory, and shortly afterwards was appointed leader of their NASA-sponsored program which conducted research to support the development of the space flight hardware for future Space Shuttle missions. In 1992, Dr Thomas was selected for astronaut training by NASA, and a year later was appointed a member of the astronaut corps. In May 1996 he took his first flight into space as the payload commander and mission specialist aboard the Space Shuttle Endeavour. Dr Thomas made three subsequent trips into space, including a space walk and an extended stay on the Russian MIR Space Station. Dr Thomas has received numerous awards for his contribution to the exploration of space, including South Australian of the Year and a Centenary of Federation Medal. He is an Honorary Fellow of the Institute of Engineers Australia. 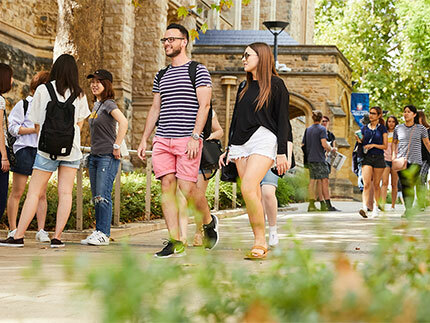 In 1999 the University of Adelaide named a scholarship after Dr Thomas, with one scholarship per year awarded to a new student studying for a Bachelor degree in either Aerospace Engineering, Mechanical Engineering or Mechatronic Engineering. The prestigious Andy Thomas Scholarship pays for all tuition fees and provides the recipient with a living allowance of $5000 a year for four years. So far, there have been eight Andy Thomas Scholars. Ryan Arbon received his Andy Thomas Scholarship in 2002. This year's recipient of the Andy Thomas Scholarship was Jordan Gray.